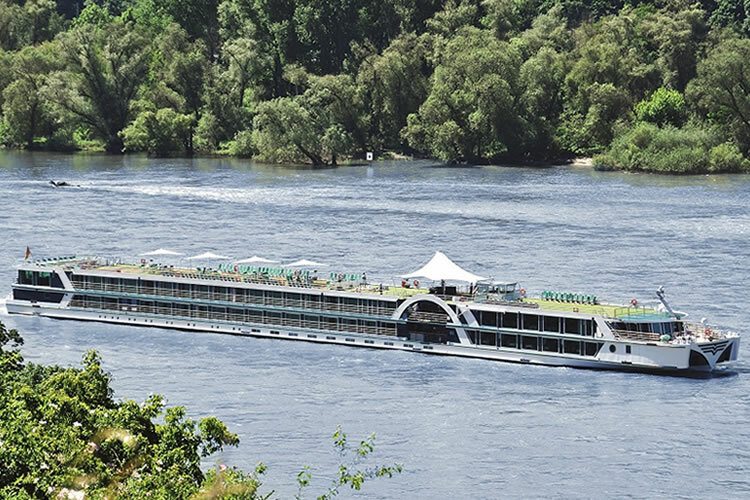 In between the spectacular cathedrals of Strasbourg and Cologne, on this romantic journey filled with terraced vineyards, resplendent castles, historic winemaking towns and more, you’ll experience river cruising with an extra special twist. Alongside the incredible Middle Rhine Valley, only the most scenic areas of the Moselle Valley have been included, in particular the narrow route to Bernkastel-Kues, which is only accessible to smaller river boat. Fly from the UK to Basel. Your transfer will take you to the port where will you embark Brabant in the afternoon. Starting off in Strasbourg, your gaze is sure to be magnetised towards the exquisite Cathédrale Notre-Dame, though it’s just one of many delights on show. Don’t miss the photogenic Kammerzell House; an assortment of engrossing museums; or the half-timbered houses and peaceful canals of the Petite France quarter. In handsome Speyer, the UNESCO-listed Romanesque Cathedral is complemented by an explorable centre full of stellar museums. From Mannheim meanwhile, don’t miss a trip to Heidelberg; the beautiful setting of this famous university town has inspired poets, painters and writers for years. Highlights include the half-ruined red-sandstone Heidelberg Castle. Oberwesel is renowned for its medieval town wall, which for the most part you can walk along the top of. A pause here is followed by a chance to capture the fortresses, forests and vineyards of the enchanting Middle Rhine Valley. Keep your eyes peeled for the fairytale-esque spires of medieval towns and villages as they appear. Spending the remainder of the day in historic Koblenz is perfect for trips to Ehrenbreitstein Fortress, which include an unforgettable cable car ride over the river. Brabant then diverts down the Moselle to Bernkastel-Kues, a route only navigable by smaller river boats. A medley of half-timbered houses, wine taverns and irresistible riverside trails awaits you. 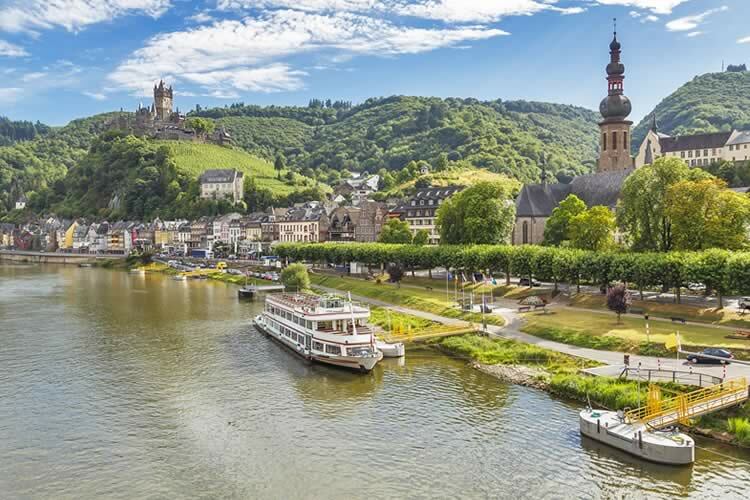 Savour a special daylight cruising experience to follow as you pass some of the finest vineyards and picture-postcard towns of the Middle Moselle Valley. Stopping in Cochem, rewards include pretty waterfront buildings and romantic squares, overlooked by Reichsburg Castle. The sensational scenery continues with a journey through the alluring Lower Moselle Valley, taking in more vineyards, castles and towns. Cologne is your penultimate stop, and the famous twin-spired Cathedral – which eventually took 632 years to finish – is sure to take your breath away. The interior is said to contain the remains of the Three Wise Men. Elsewhere, the Old Town is a delight to explore, while museums chart everything from chocolate to Roman history. Adding a unique twist to conclude the cruise is Düsseldorf, a flourishing artistic feast with a raft of avant-garde architecture and over 100 galleries.